LEWISVILLE, Texas, January 24, 2019 – The best designs have a specific direction right from the start. 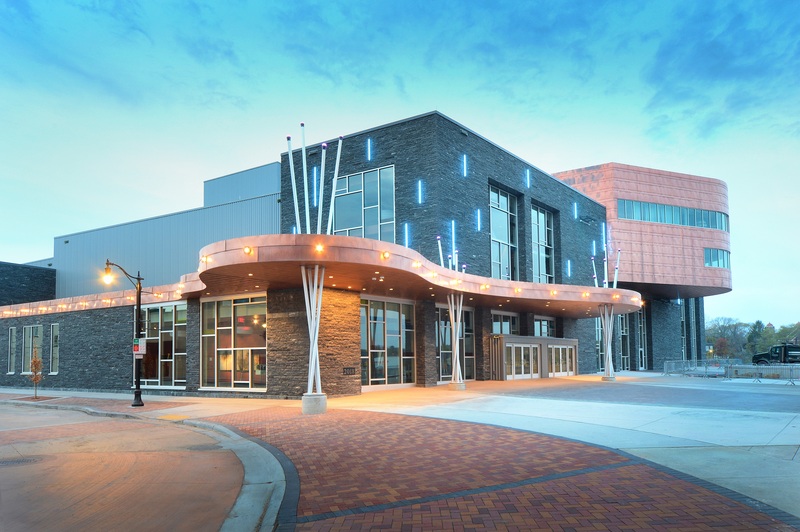 The Pablo Center at the Confluence in Eau Claire, Wis., was constructed to fit into its site where the Eau Claire and Chippewa rivers meet, using traditional and practical façade features, including insulated metal panels from Metl-Span. 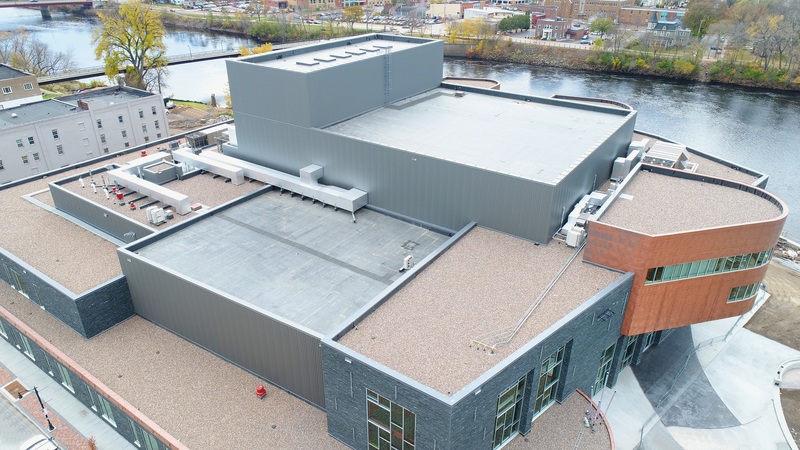 “The location along the river played a big part in the design process,” says Gilbert Oh, AIA, LEED AP at Holzman Moss Bottino Architecture of New York. 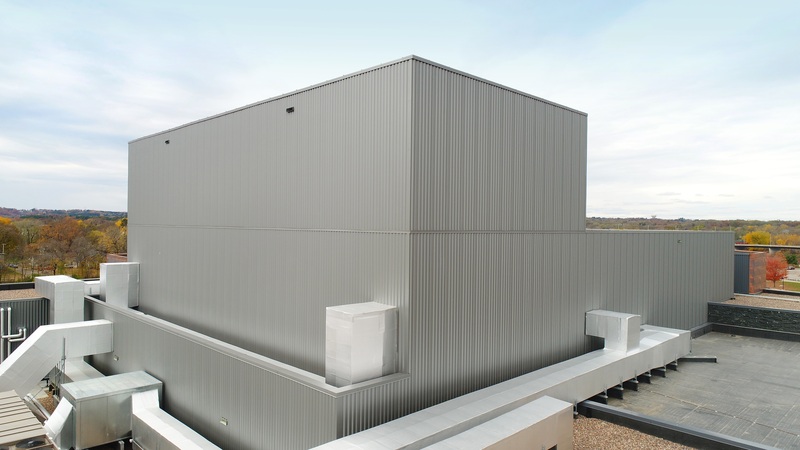 “Metal panels were a pragmatic decision because of the insulation. The depth of the panels helps the appearance because they are high up and we didn’t want that look to get lost from the street." 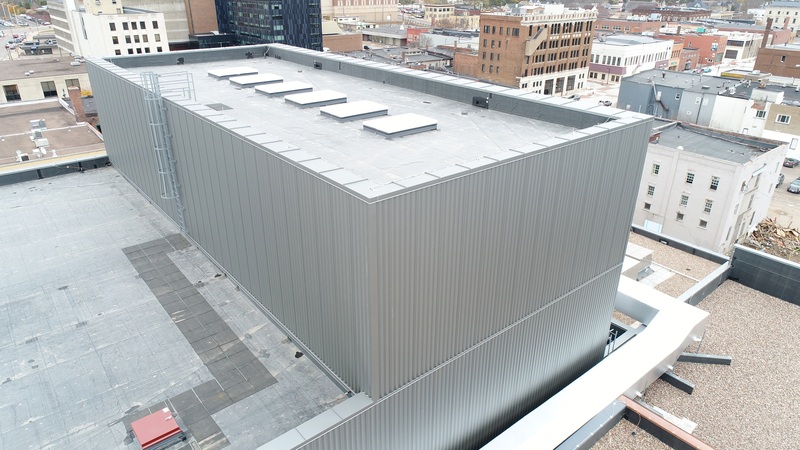 Almost 29,900 square feet of Metl-Span’s 7.2 Insul-Rib insulated metal panels were installed on the project. IMPs were filled with a 3-inch urethane core. The 22-gauge exterior metal on the panels is Weathered Zinc, while the 26-gauge interior metal on the panels is Igloo White. The symmetrical 7.2 Insul-Rib features distinctive 1-1/2-inch-high ribs on 7.2-inch centers. The IMPs house the main theater. 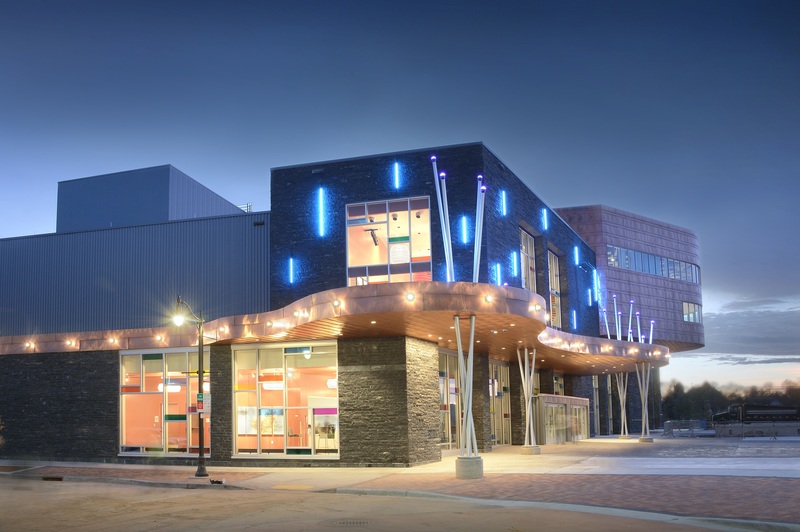 In addition to the insulated metal panels, the façade features 18,000 square feet of shop-fabricated copper, supplied by KME, and a 3-1/2-inch sawn height of Aqua Grantique stone from Krukowski Stone Company. The stone is a local product, bringing everything full circle on this unique building. The Pablo Center was definitely designed with durability in mind. The Insul-Rib panels from Metl-Span offer a rib that is 1-1/2 inches high, which played an important role in the design plan. “The profile depth of the panels is important,” says Holzman. “We want the building read as a volume and not as a panel. The shape and shadow deceive the eye so it reads as volume. Division V Sheet Metal of St. Paul was in charge of installing the 7.2 Insul-Rib panels. Because the insulated metal panels were installed on the upper mezzanine level, the use of a tower crane was required to hoist panels to the roof. From there, panels were lowered into place with a swing crane.